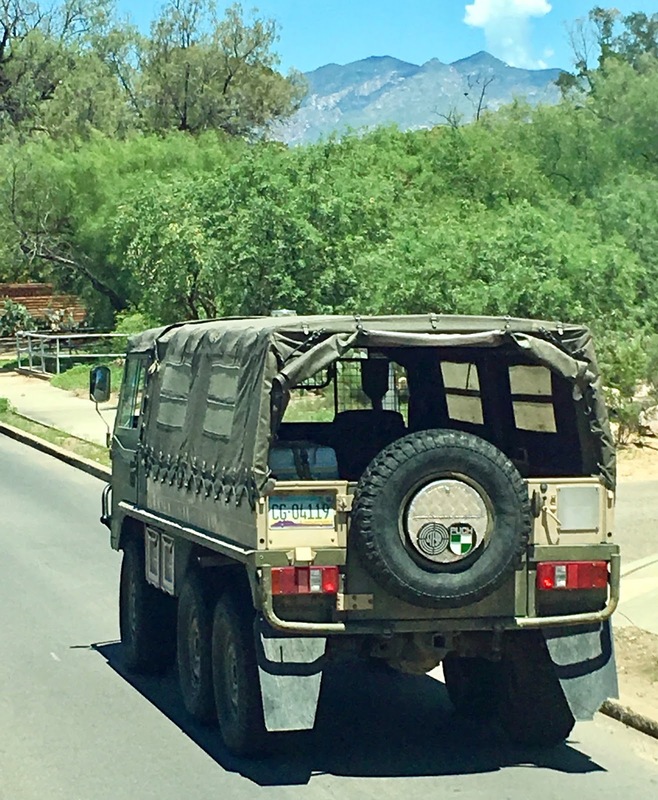 Seen on the streets of Tucson. "A city of mud boxes, dingy and dilapidated, cracked and baked into a composite of dust and filth; littered about with broken corrals, sheds, bake-ovens, carcasses of dead animals, and broken pottery; barren of verdure, parched, naked, and grimly desolate in the glare of a southern sun." Hmm. I'd venture to say if you wander into some parts of the Old Pueblo today, you might be inclined to say it hasn't changed much since this was written in 1864.